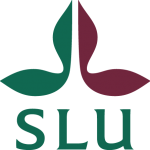 SLU (Swedish University of Agricultural Sciences) develops the understanding and sustainable use of biological natural resources. This is achieved through research, teaching, environmental monitoring and assessment and information extension. Infertile shrublands in Australia host an exceptionally high number of plant species. How the species can coexist while competing for limiting resources has puzzled ecologists for decades. Researchers, including two from SLU, suggest that part of the answer for such high plant diversity could reside in the myriad of root-associated organisms that live in soils. The study is published in Science. It is in moderately complex landscapes that it is most effective to deploy local conservation management measures to enhance biodiversity, such as flowering border zones. The SLU-researcher Mattias Jonsson has together with colleagues from New Zealand, Australia and USA recently published evidence for this in Journal of Applied Ecology. The genome of the parasite that is causing clubroot disease on several agricultural and horticultural crops is now released. The new knowledge will hopefully be useful to develop better diagnostic methods, breeding strategies and elucidating the biology of this unique plant pathogen group. Ultraviolet patterns can make window glass visible to birds, thus preventing fatal collisions. However, it has now been shown that such windows are not likely to work for all species, but only for birds like small passerines, gulls and parrots, who have a special type of colour vision. For birds of prey, geese, pigeons and crows, these patterns should be difficult to detect. These conclusions appear today in an article by Olle Håstad and Anders Ödeen in PeerJ. New ways to utilize starch from cassava can provide food to an additional 30 million people without taking more arable land than today. By 2030 the figure will be 100 million. In addition, the same land can also contribute to an increased production of bioenergy. This is shown in a new study from researchers at the Swedish University of Agricultural Sciences (SLU) and China Agricultural University (CAU). Leaders of the major world religions can play a key role in preserving biological diversity. A new study carried out by ecologists at the Swedish University of Agricultural Sciences (SLU), among others, indicates that if the world’s religious leaders wished to bring about a change, they would be ideally positioned to do so. Mixed forests – a missed opportunity? Forestry and nature conservation can benefit from promoting a diversity of tree species, new study finds. Sweden, Norway, Denmark, Finland and Iceland work together to explore the possibilities of realizing a Nordic E-Science Infrastructure for Biodiversity and Ecosystem Research. Codling moth (Cydia pomonella) is a major pest insect of apples worldwide; the larvae mine and destroy the fruit. A new investigation put in evidence the key role of cod as regulator of the whole Baltic Sea ecosystem. The study shows that when the cod population in the central Baltic increases, it spreads into larger areas and spills over into adjacent marginal systems where it usually does not occur, as for example the Gulf of Riga.